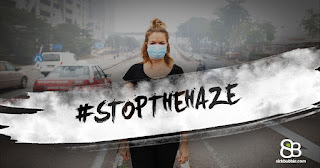 The Stop the haze (#stopthehaze) campaign is one of many initiatives protesting about the massive smoke pollution and associated haze and smog attributed to forest fires started by palm oil plantation operators in Indonesia. campaign makes some good points. But I am intrigued by the term 'haze'. Your campaign is called "Stop the haze"
But why use the euphemism 'haze' when the topic is actually 'air pollution' or 'smog' or worse? Why not find out and then tell us who started calling it 'haze', where, when and why? Surely the correct identification and naming of the problem is part of the challenge? Hope you find these language questions useful. Best regards from Lisbon, Portugal, where we are currently enjoying sea breezes and relatively pollution-free air. Thanks so much for writing in and asking some great questions. I have to say I could go for some Portugese sea breezes right about now! Haze immediately resonates with the local populations, but the connotations behind it are changing rapidly. When we got here, "haze season" was just another bit of "weather" that happened around here according to the locals. This year, however, has been much different; people have started to realise that this is a hell of a lot worse than any bad weather...and they're pissed about it. 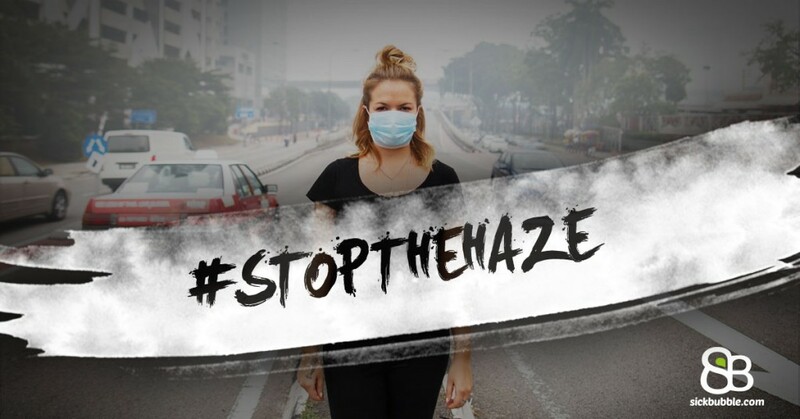 Our #stopthehaze article's focus isn't on the education of what's happening per se, but more of a call to action that is simple to be a part of and using the language that the population is familiar with. Education is incredibly important as well, and we are in the midst of our next piece which addresses more of the underlying issues. Check out our piece on one of the key underlying causes in another article. These are what we've deemed as the most major ways to address the challenge, but I do like the point you've brought up about the origin of the potential "spin" to hide what the haze really is. I'll have to do some research and see what I can find. Thanks again for writing in, and always feel free to do so.